Two conniving beachcombers compete for the affection of a woman in search of solitude. In the end, they are punished. In ten minutes, you get the portrayal of all seven deadly sins and a reference to Reese Witherspoon. It’s an opera where Flannery O’Connor meets Dr. Seuss. Wm. Samuel Bradford’s libretto claimed audience favorite in The Atlanta Opera’s 24 Hour Opera Project. 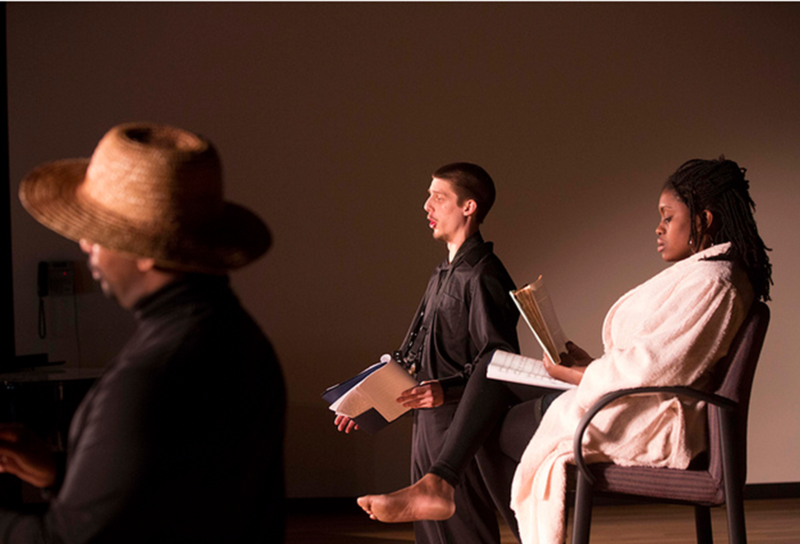 Bradford’s ten-minute opera, Beach and Moan, composed by Evan Mack, was written in twelve hours Friday night and early Saturday morning, and performed to a standing room only crowd in Atlanta Saturday night. Beach and Moan, a farcical ten minute opera, beat out competition from professionals who traveled from across the country to win top honors from the audience vote. You can view video of Bradford’s winning entry here.